The summers we experience in Greenfield are not known for playing nice at all. A combination of high heat and dense, cloying humidity means that you need your cooling system running at peak performance at all times, and a breakdown can put you in a rough spot in mere minutes. 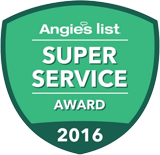 Looking for a team that provides superior AC repair in Greenfield? If so, you just found what you need—Service Plus Heating, Cooling & Plumbing is ready to help! Our service specialists have been helping homeowners get the best in HVAC repair service for over 15 years, providing top of the line products, streamlined repairs, and services that always put your needs first. When you’re looking for AC repair services you can trust, you don’t need to look any further than the pros at Service Plus. For AC repair in Greenfield and the surrounding areas, contact Service Plus online or give us a call at (317) 434-2627 today! At Service Plus, our experts understand that doing without a proper cooling system for any amount of time is simply not an option. Within minutes of your AC going down, your home starts to downright bake, so we waste no time or effort in getting things back to comfortable normalcy. By using a combination of our leading tools and superior training, we can offer a repair service that melds speed and accuracy with precision. In addition to a full cooling repair service, you’ll always get a 100% complimentary carbon monoxide inspection along with your repair! Just one more way that we can put you first by prioritizing your safety in your Greenfield home. To learn more about our AC repair in Greenfield, contact us online today. Weird sounds. In almost all cases, unusual sounds coming from an AC unit are going to point to a damaged, worn out, or loose component. Repairing these swiftly is critical because if left alone, they can do serious harm to the system as a whole. Weak cooling power. Poor air flow or a lack of power will often be caused by refrigerant leaks, a clogged filter, duct issues, or an electrical complication. Thankfully, our team can handle all of the above. Increased cooling bills. Did your monthly utility bill spike drastically this month? This is one of the best early warning signs of a looming issue, so don’t ignore it—call our team now! Short-cycling. A system cycling on and off quickly can be caused by an oversized AC unit, compressor problems, blower issues, and similar complications. No matter the cause, we’ve got you covered. Frost or ice formation. On occasion, frost might take care of itself, but it’s best to call a service team to avoid large AC leaks that can lead to tremendous home water damage. Our team pulls out all the stops in order to offer our customers expert air conditioner repair services. When you want pros that get the job done right—and right the first time—you never need to look anywhere else. Call Service Plus today! For complete AC repair in Greenfield, contact Service Plus online or give us a call at (317) 434-2627 today.